Chagatai Khan: 'Honour' of Pakistan & A Timeline of U.S. Aid to Pakistan. 'Honour' of Pakistan & A Timeline of U.S. Aid to Pakistan. Shame on the Group of Editor of The News International, Mr Shaheen Sehbai [Shaheen Sehbai VS Hussain Haqqani & Jang Group of Newspapers. http://chagataikhan.blogspot.com/2009/10/shaheen-sehbai-vs-hussain-haqqani-jang.html - Shaheen Sehbai VS Asif Ali Zardari & Jang Group of Newspapers http://chagataikhan.blogspot.com/2009/10/shaheen-sehbai-vs-asif-ali-zardari-jang.html ] and other born again Anti-US Che Guevara [s] i.e. Anchor Persons of Pakistani Private TV Channels for whipping up Anti American Sentiments without giving proper information to the Pakistanis either about the Kerry Lugar Bill or about the Past Hisotry of Pakistan's ever-present Begging Bowl for American Aid. Particularly Shaheen Sehbai should have been ashamed of himself for whipping up Anti Americanism in Pakistan for ulterior motives because he is the same Shaheen Sehbai who used to enjoy Exile in USA during the Military Regime of General Musharraf and if that was not enough he used to Manage and web based Magazine South Asia Tribune [The magazine was fiercely Anti Pakistan Army and ISI] wherein several nowadays Anti-US Journalists of the Jang Group of Newspapers [e.g. Ansar Abbasi and Rauf Klasra] used to contribute. Yet these Pseudo Analysts haave the audacity to project themselevs as the most dedicated leaseholders of Pakistani National Interest and Security. "The only conclusion that the world could draw was that no one studies things in Pakistan or, having studied them, deliberately keeps quiet until a false crisis can be created - The furore over the Kerry-Lugar bill appears to be dying down. We now have our TV pundits — the incorrigible ill-informed ones apart — beginning to acknowledge that the skies have not fallen and that Pakistan’s “ghairat” has not been as mortally affronted as was originally thought. In an earlier article, I had pointed out that the original bill had been passed in two versions by the House and Senate on June 11 and June 24 respectively and that there was nothing in the bill finally passed on September 25 which was not contained in these two versions. The time for complaint and for seeking rectification was the four-month period in which the two versions of the bill were being reconciled. A grand silence prevailed at that time on our TV channels and for the most part in our print media. This bill has reporting requirements also that require the Secretary of State to submit six monthly reports to the congress on the progress Pakistan had made in achieving the objectives set out earlier. The last such report was to be submitted under the terms of this bill on October 15, 2009. To save the face in USA and in Pakistan's Power Corridors, the Alleged Anti-US Newspaper Jang/The News International, publish this as well in Urdu and English both. Shaheen Sehbai and Editorial Staff should have drowned themselves if they have little shame left in them. Now that the orchestrated furore over the KLB aid package for Pakistan is diminishing, it is important to analyze how the country was driven into a frenzy and US-Pakistan relations put at risk by Pakistan's "Ghairat lobby" and those whose hatred for President Zardari and the current government exceeds their love for Pakistan. The real mystery of the Kerry-Lugar-Berman Bill is not its conditions or who may originally have proposed or recommended them. The conditions that have been the cause of much shouting and screaming were included in the House of Representatives' version of the bill that was passed on June 11, 2009. That bill was widely reported in the domestic and international media. If the reporting requirements in the bill were insulting, or if they infringed upon Pakistan's national sovereignty, why did not the assorted columnists, politicians and right-wing TV anchor persons make the same noise about these conditions in June that they have been making of late? Indeed, appropriate reaction in June might have caused those in Congress who want to improve relations with Pakistan but also do not trust Pakistanis to revisit their attitude. The latest furore brought us an explanatory statement, which the Supreme Court of the United States says, has the force of law. Some timely "hungama" in June might have resulted in some actual amendments. There is something very suspicious about coincidences that link otherwise unconnected people. For example, the day President Obama announced before the Friends of Democratic Pakistan summit in New York sitting next to President Zardari that the US Senate had passed the Kerry Lugar consolidated bill, some of the TV anchors, who 48 hours later turned against the bill, described it as a major achievement for Pakistan. For those who like me believe in checking facts, I would suggest a search for the TV shows of September 24. The first suggestion that there might be something wrong with the bill came in the form of an article on September 27 by a writer who has been claiming since President Zardari's election that the establishment hates him and that his days as president are numbered. It was this article that got everyone in the country emotionally charged and became the basis for distortions on TV talk shows. Until then, there was no one who had found a challenge in this bill to Pakistan's sovereignty or our ubiquitous Ghairat. It seems that the internet connections of the Ghairat lobby were dead between June and the first week of October; otherwise, the original Berman bill with its offensive language would have been read and criticized much earlier. The Kerry-Lugar-Berman Bill was approved in its final form by the US House of Representatives on October 1. Moreover, most of the conditions in the bill had been included in the Annual US aid Bills since 2001. It turned out that among the many things that were insulting for Pakistan in these preceding bills was a reference to Azad Kashmir as Pakistan Occupied Kashmir and a virtual acknowledgement that Kashmir was a settled matter because the US government was required to tell Congress that infiltration across the Line of Control into India had stopped. The question arises why any of the initiators of the recent debate, including columnists, TV anchors and some MNAs from the martial belt, never found out about these past conditionalities and failed to describe them as a surrender of sovereignty or national disaster? Why didn't the echo chamber of these views on the TV talk shows ever discuss US aid conditionality in preceding years? That there was an echo chamber in the past few weeks is obvious: The man who writes the story or column comes on TV to push his view, the MNA who is also a columnist is the first one to be contacted by the TV anchor who has been railing against the bill, the parliamentarians are quoting the columnist and the anchor, and so on. Quite clearly, the powers that be were content with receiving aid between 2002 and 2008 without worrying too much about words that did not have teeth. Non-binding findings of the US Congress certainly do not compromise national sovereignty any more than Nawaz Sharif travelling to Washington on July 4, 1999, to get President Clinton's help in securing a climb-down from Kargil. Indeed, as Major (R) Kamran Shafi has rightly pointed out in an article, since the days of Field Marshal Ayub Khan, there was a willingness to be accommodating of US condescension especially while men in uniform ran Pakistan. Throughout the orchestrated controversy none of the fuss creators explained to the people that the Kerry-Lugar Bill is not a treaty between Pakistan and the US where all words and phrases have to be agreed upon by Pakistani stake-holders. It is an American law. The Pakistani Foreign Office has already pointed out in a much less publicized news story in this very newspaper that the Pakistani Embassy in Washington had sent as many as 35 telegrams that got circulated to all stakeholders, describing every stage of the Congressional process relating to the Kerry-Lugar aid package. Why, then, did none of the columnists, anchors and parliamentarians attacking the bill make any effort to write a summary of US Congressional procedures, seek interviews with American constitutional experts or conduct studies of conditionalities in the bills, relating to other US allies (including that very special American ally Israel) to see if this bill was particularly insulting or just represented business as usual for the American Congress? The Mystery for someone like me, sitting at a distance but with my heart in Pakistan, is how push button words such as sovereignty and honour, coupled with absolute disinformation made their way into identical articles, similar news stories, comparable talk show ranting and emotional statements by some political players. Another mystery is how leaders of the PML-N and PML-Q both discovered American intrusiveness objectionable almost simultaneously. The two Muslim Leagues followed the Jamaat-e-Islami's lead as if on cue. The PML-Q had little leg to stand on, having been in power throughout the period when much more insulting language and intrusive conditions had been inserted into aid packages that went through Congress on an annual basis between 2002 and 2008. 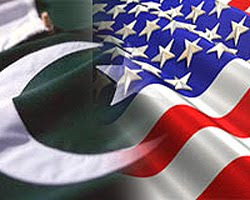 The PML-N also had shown no interest in turning down American aid when the offer for this aid was made by Senator Biden and when the House version of the bill was first passed on June 11, 2009. What changed during this period? Even more mysterious is the manner in which the entire Ghairat lobby in the media, the Zardari haters, select parliamentarians of the two PML factions and the Jamaat-e-Islami strangely discovered extracts from the book by Pakistans Ambassador to the United States that was written and acclaimed 4-5 years ago in a different civil-military environment. Now, what are the chances of Munawar Hasan, Faisal Saleh Hayat, Tariq Azim, Chaudhry Nisar Ali, Khwaja Asif and the right wing TV anchors and Marvi Memon deciding to read the same 5-year old book at the same time? How many books these people read regularly any way and how often do they read the same books? The first story suggesting a link between Kerry-Lugar conditions and Husain Haqqani's book 'Pakistan between Mosque and Military' was simultaneously run by three totally unconnected reporters--one based in Washington DC, one in New Jersey and one in New York--all on the same day. The next morning, even before bookshops could have opened in Islamabad, copies of the book were floating around the National Assembly and among talk show anchors. Who briefed them all or drew their attention to the book? Why didn't any journalist care to research what opinions were expressed by reviewers of the book that included one of the current condemners and the foreign policy adviser of the PML-N, who all heaped praise when the book was first published. What is behind "Ghairat" debate? Every few years Pakistanis go through angry phases of self-righteous indignation over the country’s dependence on foreign aid. The ‘Ghairat’ (national honour) lobby, led by Islamist political parties, retired generals and the newly empowered right wing conspiracy theorists serving as television anchors have worked up the nation once again in the “honour is more important than aid” slogan mongering. Now that the controversy relating to the Kerry-Lugar Bill is de-escalating, it is time to understand the economic and security compulsions that have made us a dependent nation. Since 1947, when soon after independence the father of the nation Quaid-e-Azam Muhammad Ali Jinnah himself appealed for US aid, each one of Pakistan’s budgets has depended on external flows mainly because our own resources are limited and over-stretched. Notwithstanding the evolution of our indigenous defence capabilities, much of our military equipment still comes from the US or from China. Pakistan needs aid and no amount of hyper nationalist chest-thumping can change the fact that with huge unavoidable defence expenditure, growing unproductive population and a bloated government we have no option but to seek aid for development. The ‘Ghairat’ lobby, always eager to mobilize street protests of the “Go America Go” variety, never runs a campaign to get the nation to pay taxes. Ditto for the industrialists and traders that support the various factions of the Pakistan Muslim League and the landowners that are incharge of the Pakistan People’s Party. Few Pakistanis know we have a tax-to-GDP ratio of 8%, even below Ghana, which collects 15% of its GDP as revenue. It is fashionable to say we will break the proverbial begging bowl (kashkol) and tighten our belts. This is a good populist slogan much beloved of some Urdu columnists. As prime minister, Mian Nawaz Sharif championed this view and became rather popular among middle class urban Pakistanis. 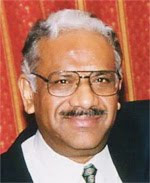 He started the National Debt Relief Program with the explicit purpose of raising donations from overseas and rich Pakistanis. Only $178.3 million were collected against the then outstanding national debt of $35 billion. Of this only $28 million was in donations, $1.6 million in Qarz-e-Hasana, and $148 million was in profit bearing deposits. So much for ‘Ghairat’ and hyper nationalism trumping economic realities. The economies of nations grow through aid, trade, investment and productivity, That is how Japan and Germany overcame the destruction of World War II and South Korea, Taiwan, Singapore, Malaysia all became Asian tigers. Pakistan’s problem has been that we are aid dependent but instead of completing the cycle and moving towards the large scale investment and productivity stage our ‘Ghairat’ makes us abandon and restarts the cycle periodically. There are national security needs too that dictate our gravitation towards the US but that requires a separate detailed discussion. Suffice it to say that when hyper-nationalists and their Jihadism brought Pakistan to the brink of full-scale war during the unfortunate Kargil episode in 1999, Mian Nawaz Sharif travelled to the United States to seek a bailout. Then, those in the media claiming to speak for the military and intelligence agencies termed his action a “betrayal” only to bow to the US again after the October 1999 coup d’etat. Once again the PML is talking of foregoing US aid, to “slap the US in its face for insulting language in the Kerry-Lugar Bill” as one PML-N hothead put it on television. Of course, slapping the US on the face means not just losing US aid but also taking a hit in inflows from America’s allies, the IMF, the ADB and the World Bank. With national pride as its main asset, no wonder Sharif’s first government left only $1 billion in foreign exchange reserves in 1993. Just before he was ousted from power in General Musharraf’s military coup, foreign exchange reserves under Sharif’s second government had fallen to $700 million. The pro-Americanism of Shaukat Aziz and Musharraf might not have brought much satisfaction to Jamaat-e-Islami and pro-Taliban columnists and anchors but by January 2008, Pakistan’s foreign exchange reserves stood at $16 billion. Similarly, President Asif Zardari’s whirlwind foreign tours for mobilizing aid might not please those who speak in the name of national pride and honour on almost daily basis. But they have brought back the foreign reserve position back to $14 billion by September 2009. With the Kerry-Lugar aid money we will be bale to invest more in our social sectors while keeping our current level national security spending intact. The Jamaat-e-Islami was too busy opposing the creation of Pakistan to notice that in November 1947 Quaid-e-Azam sent Mir Laik Ali (of Hyderabad Deccan) to Washington to ask for $2 billion in aid from the Americans. Pakistan, however, only received $10 million, only 0.5% of the original request. The fathers and grandfathers of most of the Pakistan Muslim League leaders (both N and Q) were in Pakistan Muslim League Convention when Field Marshal Ayub Khan secured large amounts of aid to build Pakistan’s Air Force (which saved our neck in 1965), create the agricultural revolution and build huge projects like the Mangla and Tarbela Dams. All of Ayub’s social and economic achievements were because of American aid, which always brings other aid. Aid from the World Bank and other institutions for many projects including the Indus waters system were amongst the many benefits at that time. Had ‘Ghairat’ trumped aid, we would be short of a lot more than what we face today. We are lucky that Brigadier Imtiaz Billa and Lt Gen Hamid Gul were still in service and Irfan Siddiqi and Haroonur Rashid had not yet become as influential as they are today during the rule of Ziaul Haq when we got massive amounts of aid enabling us to build huge airports, secure F-16s and covertly build the nuclear programme. Had their slogan mongering of today been national policy in the 1980s even the ISI would not have become the formidable intelligence service it has become because, after all, that all happened because of US assistance. If ‘Ghairat’ had been such an issue during General Zia’s period then our anchors would have been screaming each time Zia drove himself in his car to meet the American ambassador in complete violation of protocol, as reported in Lt Gen KM Arif’s book. But no one can dare question the patriotism of a coup-making four-star general. It is only civilians who are periodically suspect. Azad Kashmir was referred to as Pakistan occupied Kashmir in an American aid bill, under direct military rule with all the current commanders holding senior positions, and no one had problems because aid was more important. In addition US aid legislation required that Pakistan takes “tangible serious and identifiable measures to prohibit and prevent the infiltration of Islamic extremists across the Line of Control (Loc) into India,” implying that the US Congress considered Azad Kashmir as Pakistan occupied Kashmir and Indian occupied Kashmir as India. Again our ‘Ghairat’ lobby had no problems with any of these conditions, partly because the professionals in the foreign office and the army knew that it was not binding nor did it create international law. The ‘Ghairat’ lobby is going ballistic with the Kerry-Lugar Bill, saying that the Americans want to dictate and control “our army” but the same lobby had no problems when in 2007 US aid was provided only when the American President certified that Pakistan had agreed to “undertake a comprehensive military, legal, economic, and political campaign to” “eliminate” groups like Taliban, al-Qaeda and others and Americans saw proof of the same. How did our great ‘Ghairat’ lobby eat this humble pie in 2007? Or was it that some realists rightly thought aid was more important than ‘Ghairat’ and are now using the ‘Ghairat’ card simply to destabilize the elected civilian government? The problem with the Kerry-Lugar Bill is not that it is insulting or an affront to national honour. The problem is that it has come under civilian rule and primarily for civilian purposes. Our military has made the correct decision to get out of politics and stay out of politics but some civilian superhawks want to drag it back in by raising the spectre of threats to national security in the garb of the Kerry-Lugar Bill. The loudest noise against the Kerry-Lugar Bill is coming from those who have wanted Asif Zardari out of the presidency from the day he was elected. Over the years, the U.S. has unloaded massive amounts of aid to Pakistan, including $7.5 billion more earlier this month. But the money doesn't always wind up where it's supposed to. It was with the best of intentions that the U.S. funneled nearly $5.3 billion to Pakistan during the Soviet occupation of Afghanistan in the 1980s. After all, that money helped strike down a Cold War adversary. But there were unintended consequences too—namely, the Taliban. Since 9/11, the U.S. has turned on the spigot again, sending more than $15 billion in assistance to Pakistan. President Barack Obama just approved another $7.5 billion this month, which triples aid while committing to another five years of funding. It also bolsters development efforts, which, according to bill coauthor Sen. John Kerry, [Senator Kerry hopes aid to ease Pakistan hostility By Shaun Tandon (AFP) – Oct 1, 2009 http://www.newsweek.com//frameset.aspx/?url=http://www.google.com/hostednews/afp/article/ALeqM5iORHiCaAohuWrDBN781_aeXBLVOw ] will "build a relationship with the people [of Pakistan] to show that what we want is a relationship that meets their interests and needs." But how effective will this round of money be? Officials at the U.S. Embassy in Islamabad have alleged that Pakistan misspent [Up to 70% of US aid to Pakistan 'misspent' Declan Walsh in Islamabad guardian.co.uk,Wednesday 27 February 2008 17.49 GMT http://www.newsweek.com//frameset.aspx/?url=http://www.guardian.co.uk/world/2008/feb/27/pakistan.usa ] some 70 percent of the U.S. funds that paid the Pakistani military to run missions in the unwieldy provinces along the Afghan border. U.S. officials accuse Pakistan of running a double game with the money, [Right at the Edge By DEXTER FILKINS Published: September 5, 2008 http://www.nytimes.com/2008/09/07/magazine/07pakistan-t.html keeping the Taliban at bay just enough to persuade American benefactors to keep their wallets open, thereby ensuring a lifeline for the country's mangled economy. All of which raises the question: will any amount of money produce results? 1950-1964: As the Cold War heated up, a 1954 security agreement prompted the United States to provide nearly $2.5 billion in economic aid and $700 million in military aid to Pakistan. 1965-1979: With the Indo-Pakistani hostilities in the late 1960s, the United States retreated. Between 1965 and 1971, the U.S. sent only $26 million in military aid, which was cut back even further to $2.9 million through the end of the decade. Meanwhile, economic aid kept flowing, totaling $2.55 billion over the 15 years. Everything came to a halt in 1979, however, when the Carter administration cut off all but food aid after discovering a uranium-enrichment facility in Pakistan. Pakistani leader Gen. Mohammad Zia ul-Haq refused $400 million, split for economic and military aid [Pakistan Aid Places U.S. in the Midst of a Divide By JANE PERLEZ Published: October 12, 2009 http://www.nytimes.com/2009/10/13/world/asia/13islambad.htm] from President Jimmy Carter, calling it "peanuts." The following year, he was rewarded with a much more attractive offer. 1979-1990: The Soviet invasion of Afghanistan changed everything. Pakistan's ISI security apparatus became the primary means of funneling covert U.S. assistance to anti-Soviet forces in Afghanistan. From 1980 to 1990, the United States ramped up its contributions for both development and military purposes, sending more than $5 billion over the course of the decade. 1991-2000: But even while Pakistan was serving a strategic Cold War purpose, concerns persisted about the country's nuclear ambitions. That gave President George H.W. Bush an easy out from the massive funding commitments in 1990, after the fall of the Soviet Union. Aid over the next decade withered to $429 million in economic assistance and $5.2 million in military assistance, a drop-off Pakistanis still cite bitterly, accusing the United States of leaving them high and dry during the decade. 2001-2009: Since 9/11, the United States has once again bolstered its funding commitments, sending nearly $9 billion in military assistance both to aid and reimburse Pakistan for its operations in the unwieldy border regions with Afghanistan. Another $3.6 billion has funded economic and diplomatic initiatives. But U.S. officials and journalists' accounts have raised concerns that such funds are not being used as intended, and not just because of the typical concerns about corruption. Documented military and civilian government deals with Taliban elements [Return of The Taliban http://www.newsweek.com//frameset.aspx/?url=http://www.pbs.org/wgbh/pages/frontline/taliban/], like a 2004 agreement with Waziri militant leader Nek Mohammed, have confirmed that money intended to fight the Taliban is, in many cases, being used instead to pay them off. (Islamabad is currently battling Taliban fighters in Waziristan.) When the deals fall through, as rapidly shifting alliances in Pakistan's tribal regions often do, that money ultimately ends up funding the insurgency. U.S. officials have expressed particular concerns [C.I.A. Outlines Pakistan Links With Militant By MARK MAZZETTI and ERIC SCHMITT Published: July 30, 2008 http://www.nytimes.com/2008/07/30/world/asia/30pstan.html] about the Pakistani government's links to the Haqqani network in North Waziristan, which reportedly has ties to Al Qaeda. At the same time, former president Pervez Musharraf has recently admitted [Musharraf admits US aid diverted Page last updated at 12:13 GMT, Monday, 14 September 2009 13:13 UK http://www.newsweek.com//frameset.aspx/?url=http://news.bbc.co.uk/2/hi/8254360.stm to using U.S. military funding to strengthen defenses against India. 2009-2014: A new five-year, $7.5 billion assistance package was passed by Congress in September and signed by President Obama in October, with stipulations explicitly prohibiting funds [Full Text of The Kerry-Lugar Bill – Details and Conditions http://www.newsweek.com//frameset.aspx/?url=http://www.ibitians.com/2009/10/03/full-text-kerrylugar-bill-details-conditions/] from being used for nuclear proliferation, to support terrorist groups, or to pay for attacks in neighboring countries. It also puts a new emphasis on the bottom line, reserving the right to cut off aid if Pakistan fails to crack down on militants. Those restrictions have opened a rift [Pakistan Aid Places U.S. in the Midst of a Divide By JANE PERLEZ Published: October 12, 2009 http://www.nytimes.com/2009/10/13/world/asia/13islambad.htm] between the military and the civilian government in Pakistan, which maintain an uneasy relationship following nearly a decade of military rule under Musharraf. Military leaders worry they are being sidelined by the increased U.S. emphasis on development and accountability, claiming the bill threatens Pakistan's sovereignty. But supporters of the bill say the restrictions are no more stringent than previous ones, and accuse Pakistani military leaders of manufacturing a crisis to undermine the civilian government.